Tell yourself it’s for your people. Those carefully worded phrases in the colonizer’s tongue. Those change from within plaques above your polished oak desk. Those revolution stickers on your aluminum laptop. Tell yourself that the angry eyes above the ‘DECOLONIZE’ tee shirt with the ‘Made in China’ label are just naive. They don’t understand the way of the world. They burn fierce, but they will break themselves and die a bitter absolutist, a hypocrite. Was it to get a taste of the white man’s fame? Was it to be in the history books of the oppressor, to get a hit of social media adoration? Was it to further your carefully constructed outward persona? Tell yourself it’s for the greater good. It’s nice to have nice things. Does the earth live around you or with you? Does the forest see how many followers you have? Does the bear marvel at your name in print? Does the eagle carry the message of you remembering who you truly are? Mother Earth breathes. The water sings. The buffalo speak. Do they live in the cup of your heart? Do they live in your spirit when you speak those words and take those actions? Take pity on us, the pitiful. 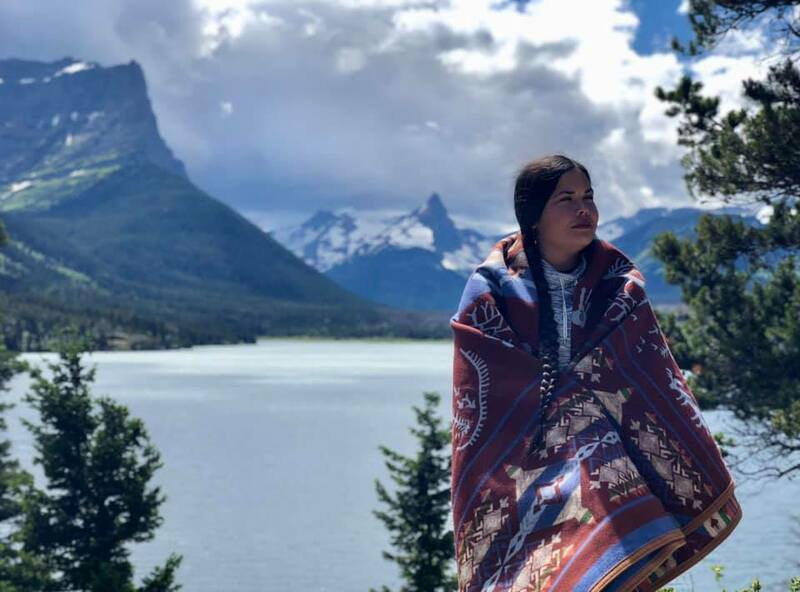 Tara Houska (Couchiching First Nation Anishinaabe) is a tribal attorney, the National Campaigns Director of Honor the Earth, and a former advisor on Native American affairs to Bernie Sanders. She advocates on behalf of tribal nations at the local and federal levels on a wide range of issues impacting indigenous peoples. She spent six months on the frontlines in North Dakota fighting the Dakota Access Pipeline, and is heavily engaged in the movement to defund fossil fuels and a years-long struggle against Enbridge’s Line 3 pipeline. She is a co-founder of Not Your Mascots, a non-profit committed to educating the public about the harms of stereotyping and promoting positive representation of Native Americans in the public sphere. This entry was posted in Tribal Leadership and tagged Last Real Indians, LRInspire, Tara Houska by lrinspire. Bookmark the permalink.